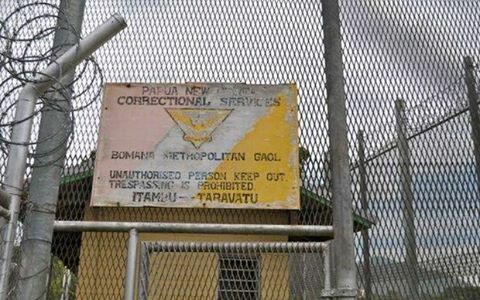 A massive security search at the Bomana Prison outside Port Moresby last week, revealed a host of smuggled items, as Correctional Service officers crack down on prison safety and gang violence behind bars. 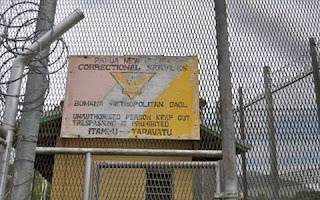 Correctional Service Commissioner Martin Balthazer told NBC News, 40 mobile phones, two Rambo hunting knives and an eyebrow-raising bolt-cutter have been confiscated in the operation, conducted in three out of the ten cell-blocks in the main prison compound. The search operation was prompted by the stabbing death of a prisoner a fortnight ago, allegedly by bank-robber convict William Kapris and two of his accomplices. CS officers tore into iron roofings, ceilings and walls to uncover the contrabands. Commissioner Balthazer commended his officers for a successful operation, saying instructions will be issued to other prisons across the country to conduct a similar activity. Balthazer suspects that a network of rogue CS officers may be involved in smuggling these items, saying proper investigations will be set up to look into this, with officers to be criminally charged if they are found to be putting the prison's security at risk.